Zhiyun, the world’s leading manufacturer of leisure and professional stabilizers, is pleased to announce it will attend GITEX 2018 with its latest revolutionary gimbals and accessories. During GITEX 2018 from October 14th to October 18th, avid filmmakers can try out the new WEEBILL LAB, the upcoming CRANE 3 LAB and the new power-tool for mobile filmmakers the Smooth 4 with support for FiLMiC Pro. The WEEBILL LAB is the newest, and most powerful gimbal for mirrorless cameras. 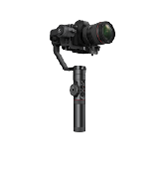 Like the CRANE 3 LAB, it features Zhiyun’s suite of advanced features for stabilizers such as an OLED display and wide array of buttons too control the gimbal and camera. The WEEBILL LAB and CRANE 3 LAB stand out from the crowd thanks to their unique two-handed grip solution. GITEX 2018 is the best opportunity to have a first hands-on experience with the CRANE 3 LAB, and WEEBILL LAB stabilizers, and find out why filmmakers are so excited for these gimbals in 2018. Visit Zhiyun during GITEX 2018 October 14-18, at Dubai World Trade Centre, booth E1-2. 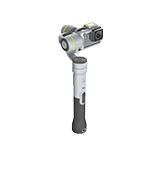 With TransMount Zhiyun is offering a universal system for its accessories for stabilizers and gimbals. 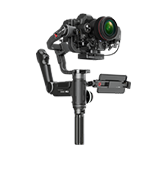 TransMount offers a range of options to make filmmaking easier, and more flexible. First, there is the TransMount Phone Holder, which thanks to Zhiyun’s ViaTouch system, allows the operator to have full control as well as monitoring on a smartphone. The TransMount Monopod Support Strap and Camera Belt help to support the gimbal without putting any stress on the operator’s arms. The TransMount Quick Release Kit (1/4” screw) and Quick Release Base Plate help operators easily swap out devices, and finally, the TransMount Multifunctional Gimbal Bag offers a great way to pack all your equipment safely when traveling to a location. The WEEBILL LAB, which launched worldwide in September, is Zhiyun’s latest light-weight stabilizer for mirrorless cameras. 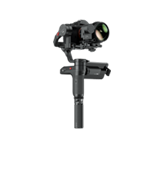 The WEEBILL LAB features a unique convertible grip for either a horizontal or vertical use and easy transition between stances for the operator. It has a full-featured button layout for easy operation and is fully compatible with Zhiyun’s TransMount accessories for easier handling and operation. Cameramen will have an exclusive first look at the latest prototype of the upcoming CRANE 3 LAB at GITEX 2018, a true revolution in DSLR filming. Already touted as the best stabilizer of the year by some, its broad set of features will surely impress professionals with its LAB features, such as ViaTouch control, its two-handed operating method and fully-flesh out control lay-out with dedicated zoom and focus wheels. 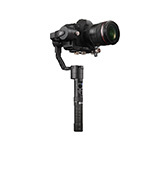 Naturally, the CRANE 3 LAB is fully compatible with Zhiyun’s TransMount accessories. 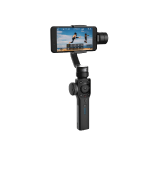 The Zhiyun Smooth 4, already the best stabilizer for mobile filmmakers, now supports FiLMiC Pro. At GITEX 2018 mobile filmmakers have the chance to explore and experience the most powerful combination on the market right now for smartphone photography. FiLMiC Pro fully supports all Smooth 4 features and makes filming a breeze. The Smooth 4’s control and operating buttons allow quick switching and selection of modes as well as easy setting of focus and exposure without losing an eye on the image. 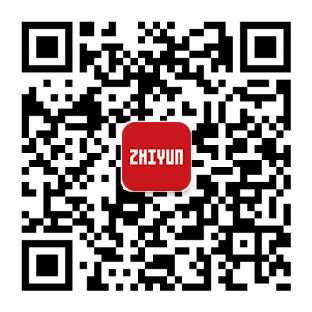 For further information regarding our products and exhibition, please email us: marketing@zhiyun-tech.com. We’re looking forward to welcoming you to our booth at GITEX 2018!